From your team page, Staff (staff only) can see the outcome of a Team Update Email. Next to the subject of the post on the Team Wall, you should see a link titled “Deliverability Report”. 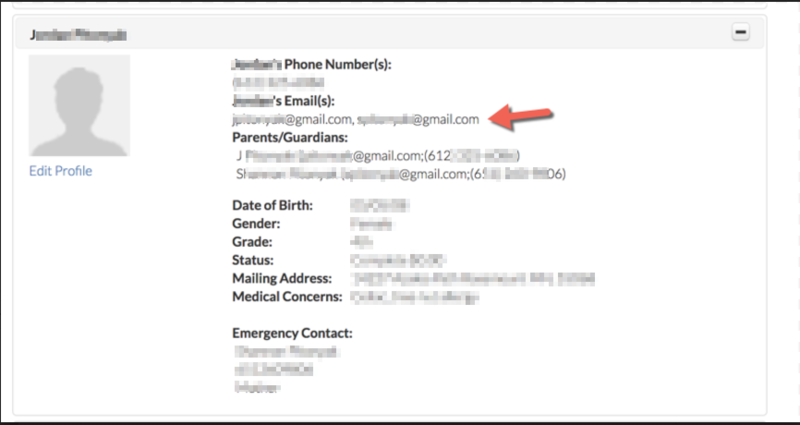 This report shows who the email was sent to, if they received the email, opened the email or if delivery failed. 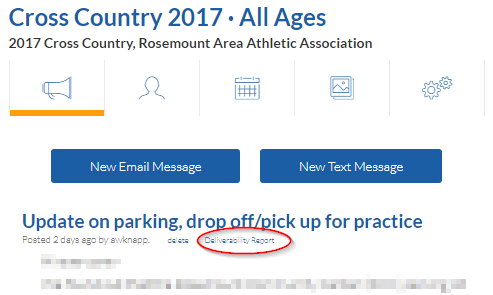 Staff can also see player and parent email address from the roster tab.